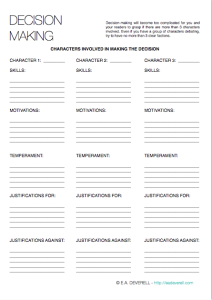 Your characters’ decisions will determine the course of your story. Will they make the right choice or the wrong one? And who can tell the difference? 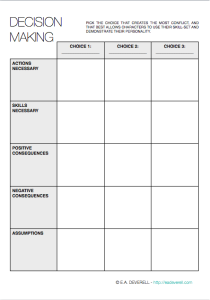 Use this worksheet to test which decisions will weave a better tale.